Concerned about the welfare of your pet after you are gone? Then you may need a Pet Trust! Statutory trusts are now legal in California and all other states except Minnesota. A Pet Trust can be a separate estate planning document that deals exclusively with all aspects of the care of the pet, or the pet estate planning provisions can be incorporated into a Will or trust as part of a comprehensive estate plan. If you desire to include a Pet Trust in your estate plan, give Riverside estate planning law firm, Dennis M. Sandoval, a Professional Law Corporation, a call. We will make sure your desires with regard to your pet’s care after you are gone become a reality. Who will be the trustee of your Pet Trust? We can draft your Pet Trust to designate a trustee who will manage the assets in the trust, as well as a caretaker to handle the day-to-day care of your pet. These positions can be handled by the same person or entity, or you can designate different parties to handle each role. One reason why you may wish to designate a separate trustee and caretaker is that it helps creates a system of checks and balances to assure that the finances are actually being used for the care of your pet. We recently handled a litigation matter in Riverside Probate Court where our law firm assisted the caretaker in enforcing the pets’ right and mandating the required distributions from the Pet Trust. Who will serve as successor trustee should your primary trustee be unable or unwilling to act? Who will serve as successor caretaker should your primary caretaker be unable or unwilling to act? Do you want your pet to be cared for in a specified manner? Is the pet to remain in your home or will your pet be relocated to live with the caretaker? Do you want to specify that your pet is to be fed his or her favorite foods, is to be examined by a specific veterinarian, or designate specific provisions for your pet’s burial? How will you fund your Pet Trust? For many of our clients, life insurance is an excellent option to assure there are more than enough funds to provide for the desired level of care for their pet. What is to happen if there are unused funds in the Pet Trust after your pet dies? Some clients leave unused funds to their children or other designated family members or friends. Other clients design their estate plans so that any unused assets are distributed to the caretaker. This is a nice way to reward the person who has cared for your pet; however, this can also give your caregiver an incentive to provide less than ideal care for your pet in the hope of maximizing what is left after your pet’s death. 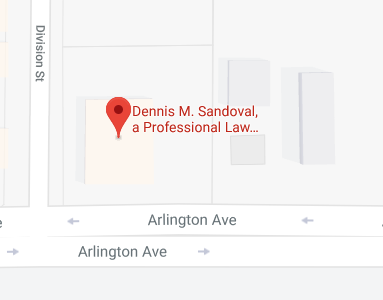 An option that Dennis Sandoval favors is to leave any unused funds to many excellent charities dealing with the care of animals. We recommend charities such as Best Friends, BideaWee, and Mary Roberts Adoption Agency.